For all of your Electrical Generator and Electrical Service needs. Polson Electric provides electrical services to Berkshire County and surrounding regions. 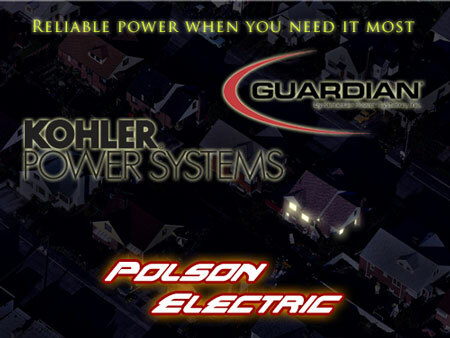 As an electrical contractor in Pittsfield MA, Polson Electric installs and services a full line of Guardian and Kohler power generation systems and have been doing so since 1987. If you live in Pittsfield or other surrounding Berkshire towns and are looking for quality electrical service, look no further. At Polson Electric quality and customer service are top priority.